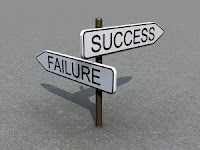 I define success as good self-esteem, effective interpersonal skill, healthy emotional responses. In simple words, successful people focus on how the small actions contribute to the success of the greater goal despite setbacks and discomfort. To overcome resistance focus on how specific actions are part of a major plan or purpose. Think how actions fit into an overall framework. Long-term projects can easily get bogged down by focusing on the minutiae of everyday processes. By categorising project stages conceptually it is possible to maintain focus and achieve greater discipline. Is this worthwhile? Can I see this through to completion? The language, choose your words carefully to promote success. Give yourself permission to succeed, with achievable goals. Keep linking each action with the original idea. People are at their best when they work together, great achievements are the works of people working together.